Buona sera. Does it bother you when someone points out problems but does not offer any solutions? Then prepare to be annoyed because I have no great answers. If, however, you want to compare notes and possibly say, "Yeah! I see that, too! ", then you're in the right place. After pondering information from several sources, making mental notes and simply making observations, I am seeing some of the reasons why unbelievers have problems with Christians, and Christianity. Some of it is the fault of the unbeliever, and the believers are not helping matters. First, problems on the part of the unbelievers. Preconceptions. We all have them, don't deny it. If you use a word, it has certain connotations for some people. For instance, if you hear or read the word "church", what image pops into your head? If you have experiences, you may remember smells, sounds, images — and emotions. I think the best way to deal with preconceptions is to admit that they exist, and try to get past the inner images. Expectations from others. Another kind of preconception. Perhaps you want to intellectualize a discussion about God, but then use loaded terminology that provokes a reaction, or you caught someone on a bad day. "Some Christian that is! ", you grumble. You have bad days and bad reactions, and so do we. At any rate, we cannot guess and live up to your preconceptions of what a Christian is supposed to be. Especially if that image is not entirely human. Your anger. Sometimes people have rejected belief in God because of personal disappointment and pain. Somebody died despite your prayers. You see bad things in the world, and they overwhelm the good things in your mind. Perhaps you demand that God is to be a kind of Santa Claus but he did not grant your wishes. Pride. That's right, I said it! I have met many unbelievers who, it appears, would rather die than to admit that a Christian is right and that they are wrong. More than that, the pride of coming to Christ goes against everything inside you because you have to admit so many things: You have sinned against a holy and righteous God who will judge us all, you really do not have what it takes to save yourself, salvation is only through Jesus Christ and receiving his loving offer of forgiveness... Yes, that stuff grates on you, doesn't it? Worse, Christians (the real ones, anyway) admit that we cannot save ourselves, and we had to swallow that pride and come to the cross. One problem common to all of those points is that of word definitions; you don't know what that word really means. OK, now that you're angry at me, I'll back off and go on about what you came here for: Stuff Christians do that makes us hurt our own cause. Yeah, that gets your attention, doesn't it, Damien? Organizations. Yes, there are many denominations out there. Some are formed out of silly disagreements in ecclesiology. Others are out of disagreements over doctrine. Still others are simply formed because people simply wanted their own beliefs and language when they moved to a new country. While you may have some legitimate complaints, there are some things to keep in mind. First, we are people, too. Nobody in their right mind is claiming that becoming a Christian makes you perfect in every thought, word or deed. You have problems too, remember? Second, other groups have divisions. People talk about other religions as if they were all unified, but that is ridiculous. Just ask the Sunnis and Shi'ahs for starters. Or maybe look at the differences in Tibetan, Theravada and Mahayana Buddhists. For that matter, do humanists and atheists all agree? Not bloody likely. Goofy doctrines. There are people claiming to be Christians, or even The One True Church, who have some very odd beliefs. Christians are supposed to use the Bible as the final rulebook, not the writings or lectures of their self-proclaimed prophet. And those words are usually quite different from what the rest of orthodox Christianity teaches. When an atheist says, "I was having a discussion with a Mormon", my first thought is essentially a Peter Griffin-esque, "Aw, crap!" because Mormon doctrines are kooky. I also have problems with some of the "Charismatic" groups. "Speaking in tongues" can be a scary thing to experience. It certainly creeped me out the first time I was around it. Today, I believe that they are in error. Further, the Pentecostals and Charismatics are the ones most likely to say, "God said to me...", and the rest will simply accept it without checking with their Bibles. Experience and emotion are too often the sources for their "doctrines". Frinstance, Joel Osteen and Benny Hinn are not representatives of my view of Biblical Christianity! False Christians. People make the mistake of thinking that, since the United States is "a Christian nation", if they are not actively part of another non-Christian religion, they must be Christians. Also, the word is taken to be "moral" or "nice guy". So, they claim to be Christians, but they really have no idea what that word really means. They are in for a rude surprise when they meet Jesus face to face. Religious people. People who have gone to church, often their whole lives, and think that going to church, practicing rituals and sacraments &c. makes them Christians. Also, things done by religions in the name of Christ are just that: Religions in the name of Christ. But they are not accurate reflections of the teachings of the Bible. Look to the source, not just the followers. "Religious" people are also in for a rude surprise when they meet Jesus face to face. Over-enthusiastic Christians. They are full of the joy of salvation, they feel good, their burden of sin is lifted. So, although they are not "grounded in the Word" and good Bible teachings, they become cheerleaders for Jesus. Sometimes they'll say things that they cannot back up. They know the Bible is true, but they do not want to admit that they cannot answer the difficulty that you just posed. But that is no reason to reject everything that they have to say. Spiritual people. For lack of a better term. They get all religious on you, get emotional, send you those awful (and usually pseudo-Catholic) e-mails. All I can say is that they have good intentions, but some of them get on my nerves, too. Christians judging other Christians. I have written about this elsewhere, that some people grow in the faith in different ways and speeds than others. So, some who have learned about a subject get proud and look down on those who have not shared their epiphany, or have their level of knowledge. They are often guilty of pride, and need to repent of their superior attitudes. And unbelievers, you can sit back and watch. Why not? Superstitious religious. Can't stand it. "God will get you for that", or whatever. Turning Christ into an unbelievable superstition. The Bible doesn't teach that, neither should they. The truth. Yep, the truth of the gospel is offensive by itself (Rom. 9.33 NASB). Who wants to hear that he has sinned (Rom 3.23)? 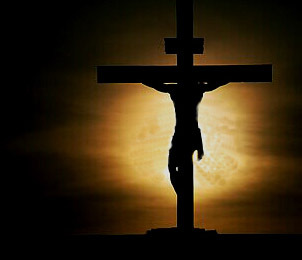 Or that you are judged and under the death penalty, but Jesus paid your debt on the cross (Rom. 6.23)? Who wants to hear that they need to turn from their sins (2 Peter 3.9) and accept the risen (1 Cor. 15.3) Jesus as their Lord (John 1.12)? Who wants to hear that they are the property of Satan (John 8.43-45), who blinds their eyes to the saving truth (2 Cor. 4.4)? That hurts the pride. And pride will drag you into Hell, quite frankly. No, the truth is offensive enough without people being people, having emotions, viewpoints, upbringing, traditions, personalities and getting in the way of the gospel. So, to some extent, no wonder people scoff. But humanity is diverse. Just like those who share some of your viewpoints, capice? that it never had many professors"
Buona sera. I said that I was not going to do another in this "Atheism Causes Brain Damage" series, and I'm not. This is just a short wrap-up. The first candidate to wander out of the asylum is the most colorful — as well as the most profane, and the most vocal. That would be Alex Botten. His passion for irrationally hating all things Christian is almost breathtaking. He did not learn his lesson from before about trying to make me defend things I did not say, and he's trying a similar stunt again. [Oops, after I reported his activities and gave supporting links, he made that Weblog unavailable. More than a coincidence? Makes me think he's got something to hide — like the truth.] Hateful little beast, incapable of rational thought. No thanks, I've got better things to do. Second, we have Paul Baird. Frankly, he baffles me. Paulie can be civil when he's not using derision as a weapon. But he seems to want to make everything academic. God is not an academic study. Some of us are contending for life itself and to keep people like him out out of Hell and eventually into Heaven. That is more than just an intellectual discussion. I still say he's slipping as of late. He did apologize for saying that I was creating another identity with which to insult myself, but seems to still hold to the view that I am pretending to be a female Weblogger named Rhomphaia, one of Botten's defamatory claims. I would much rather stay within my own gender if I was to create an identity. Should I engage in discussions on Paul's terms, on his subjects, with the rules he makes up? No thanks, I've got better things to do. As is most fitting, Norman the paranoid troll is last. He has railed against me in the comments, but has apparently learned nothing from the discussions. I showed him how he uses the "false dilemma" fallacy, so what did he do? Promptly did it again! And still with the, "You called me Norman first so I'll persist in calling you Norman right back, neener neener neener!" attitude. Shall I continue to show his foolishness and run rings around him logically? Nah. I've got better things to do. Not only can arguing with atheists become a horrid waste of time, it gets your dander up if you're not careful. And I am not going to hang around them any more than I must, because I've got better things to do. Next episode, something more fun or productive. Maybe both. Buona sera. I think I'm done. This is being written a few days ahead of time, so something else may come up to write about in the series. Nah. This will be too boring, so if something comes along that is actually interesting, I'll write about it later. Edit: Some of the remarks may appear baffling because I have now turned off subsequent comments entirely. I have a pet troll who is either demon possessed or insane (possibly both). You may recall that back in November, 2010, I tagged him with the name "Norman". Of course, he is also a "type", because there are other "Normans" around who insist that almost everything a Christian says is a lie. He has been browbeating me to give him some attention. I have been the subject of, I think, twenty of his boring personal attacks in less than a year. He has made the remark that he is trying to improve or help me. When you see this material, you'll scoff at the concept that this hateful beast would want to help. OK, Norman. Here you go, you're getting attention and links! He goes under the name "Pvblivs". It's cute how he chose the Roman look, innit? (He was also tagged with "PVboy", because when he has been proven wrong, he will not "man up".) His comments are the ones in urine yellow. By the way, he does not actively admit to being an atheist. Rather, he is a "skeptic". But this "skeptic" is a caricature of healthy skepticism, because he does not believe anything. Or at least, believe it consistently. The only thing consistent is his hatred of God and Christians. "I have visited the web sites of apologists. 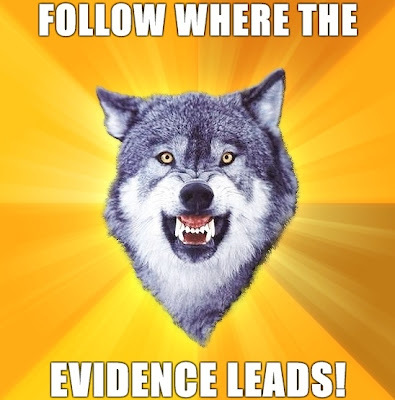 And I have seen a remarkable shortage of evidence. They generally use bible quotes in lieu of evidence. I don't already believe the bible. It's not going to convince me. I have also been banned outright by apologist bloggers who said that people might think my replies were convincing and that they didn't want to deal with them. (I have no reason to believe that this is unique to christians. It is not uncommon for people to want to cripple opposing perspectives.)" Appeal to motive fallacy. Not only is he astonishingly full of himself, but he is so full of hate, he refuses to use capitalization rules! Of course, it does not occur to him that he was banned from their sites for the same reason he was banned from mine: Personal attacks, self-righteousness, narcissism, a victim mentality and always right in his own tiny mind. "When I look for honesty, I don't look to his blog. I have yet to see him be honest." Like Paul Baird, the accusation is as good as the evidence. Abnorman here cannot differentiate between disagreement and dishonesty; if you say something he does not like, you are lying, period. No need for evidence. "Has anybody seen an example of this [civil responses]? Admittedly, I would be surprised to find him civil in response to anyone that was not worshipping the ground on which he walks. But that is only because it is so out of character with his actual responses." He cannot see the civil responses when he does not look for them. And when someone gets snotty at Stormbringer's Thunder, they should not expect to be invited over for tea and crumpets, with a rousing chorus of "Kum Ba Yah" and group hugs, capice? "As I recall, one of the signs that you are in a cult is that your information is filtered. Is Stormbringer really that scared of the thought of his readers hearing what his detractors have to say? It would explain why he pre-screens comments. There might be something thought-provoking before he gets a chance to delete it. Now, I admit that I have standards by which I will delete comments. But I'm not worried if someone happens to see them before I get to them. And if my readers check the (rather few) comments I actually get, they will find that agreeing with every word I say is not one of my requirements for keeping a comment." You didn't join anything, Norman. As I have told you many times, this is not a democracy, it is my Weblog. I moderate comments, like many others. And I wanted to not only keep this to a "PG-13" rating (if this were an American movie), but I want to see comments that need a response so I do not forget them. If someone has something intelligent to say, fine, agree or not. What I think is really going on here is that he is pouting because I barred him from commenting. Can you feel the angst? But I do not need to tolerate abuse, profanity, obscenity or prolonged stupidity. Duh. I'll give him this, he does not use profanity. Why, I have no idea, since he has not shown a belief in moral absolutes. "Stormbringer, himself, has assigned to myself and other dissenters the motive of "being filled with hate." When he sees others assign motives, he announces it as lying." No, I believe that you and other atheists assign motives for words and actions, and now my readers can waste their time reading your boring drivel to see for themselves that you assign motives to me. What gives you insight into my mental and spiritual processes, hmm? Godlike powers, but you do not believe in God. "Now, for me, it's a harder call. Someone is only lying if he does not believe his own claims." Did I read that correctly, Norman? You are insane. Someone look up "sociopath", that may fit. I do have a simple definition of lying, though: The intent to deceive. That's a good starting place. "If he really believes what he says (which I do not think is the case with Stormbringer) he is only mistaken -- or, if correct, telling the truth." Ummmmmmmm...yeah. Did anyone else understand that? Let's jump ahead, because Norman the Attack Boy is boring as well as baffling. He got angry because I tagged him with the name of "Norman". So, like any mature adult, he decided to call me Norman right back. Sheer genius! But I moved beyond that level of immaturity by the time I was eight years old. "Norman boasts that he gave "internet atheists" a lesson in logic on Twitter. Now, I haven't seen him on Twitter because I don't use the service. But I would expect that, if he had the capacity for coherent thought, he would demonstrate it in one of the places I have seen him." What do you want to discuss first, the hate or the selective citing? Skip it. By the way, his "logic" uses "false dilemma": "I posed this question [Does Jesus command his followers to lie and kill?] to Rhomphaia (queenqueequeg.blogspot.com) in a way that will secure her honest appraisal. If she deletes the comment, or any others of mine, it will indicate that she agrees that that is what followers of Jesus do. If she does not, then she does not agree that that is what followers of Jesus do. Norman (aka cowboybob, soldierforjesus, stormbringer, etc., etc.) already agrees with that because that's what he does. But then, we already knew that from the "soldier" moniker. What does a soldier do? He kills people he perceives as the 'enemy'." See not only the hatred of me (including the implication that I am a killer and his missing the point of the "Soldier for Jesus" title of that Weblog), and his hatred of God, but the "either/or" fallacy? The answer is: You are dead wrong, Norman. Oh, too bad you left out my fun name, Piltdown Superman, the one that enrages evolutionists by reminding them how they believed a fraudulent "missing link" for decades. But never mind about that now. Norman is a lost soul. He hates God and Christians, pretending that he simply does not believe that there is a God. The evidence is there, but he refuses to pay any attention to it. Also, he is so insane, that even other atheists think he is off his bird. I do not have hope for him. Rhomphaia does. Well, God does work miracles and has turned the most stubborn hearts. But I do not know if they were demonically influenced and also insane. We'll see. So, I hope these articles illustrate that there are not only many illogical people out there, but they are full of themselves and always right — just ask them. But keep your wits about you, pay attention and do not fall for what passes for "reasoning" in the brain-damaged mind of a recalcitrant atheist. If they would only humble themselves before almighty God, there would be hope. You see, I say that they are "brain damaged" for a few reasons, not the least of which is their failure of critical thinking skills. I believe that when God "gave them over" (or "gave them up"), it is a judgment from God against their unrighteousness; God will not fight them for themselves forever. Then their morality degrades, and I believe their minds degrade as well. This also lends to my suspicion that many of them really do not believe that they are lying, and they believe their own lies; they "create reality" simply by speaking it. Except that reality itself does not accept their self-created reality. Really. People who are honestly searching for answers but lean towards atheism can start here. Things would be very different if this Terrible Trio would humble themselves and give their lives to the living God. Some of the best and brightest apologists are former atheists. It's sad, really. They're making their choices for their eternal destination. Buona sera. This article has been churning in the back of my brilliant mind for quite some time. It was going to be about two "special" atheists and their astonishing lack of thinking skills, but a third has joined their ranks. Since I indulged in some speculation and dared to ask if atheism leads to brain damage because of spiritual depravity, I have had plenty of supporting evidence. It is indeed unfortunate that I cannot take the time to spell it all out. By the way, I know that I have plenty of haters out there. It's all part of the job. Edit: Some of the links to the first atheopath's site are no longer good. Looks like he has something to hide. Two of these are Brits, the third is an American. I've noticed that there are very few atheists who are Conservative. For the most part, they take a leftist viewpoint and oppose almost anything for which a Conservative stands. (If something is from a Christian Conservative, watch out, it must be opposed at all costs!) The two Brits made a point of ridiculing Sarah Palin for some reason, even though she was not anywhere near the topic of discussion. Something to the effect of, "All of us over here are laughing at Sarah Palin". Yeah, all of you, Buttercup? But more importantly, why should I care what you think? It was simple childishness. Speaking of childish, I will get into the first nutter that I affectionately refer to as Alexandra. I spanked him thoroughly, but he was unable to understand it, here and here. As my regular readers know, I do some "name calling" (like I did earlier with "Buttercup", and right now, referring to Alex as "Alexandra"), but not obscene name calling. He gets cranky, to say the least. Note: If you go to any of these links, do not blame me if you get offended, he is extremely profane. But let me show you a sample of his bad logic and hypocrisy. "Several weeks ago I challenged bonkers rightwing loonbag @Stormbringer_5 to supply me with two things..."
"Ken Ham, you know him, he's the Australian Creationist bulls**tter with the stupid chin beard, the Charlatan in Chief at ludicrous lie factory Answers In Genesis. He claims that dinosaurs lived alongside man, even after the mythical flood of Genesis." His favorite diatribe about me seems to be this one, where he took an offhand remark and acted like I submitted it as a master's thesis. OK, so I cannot use mild name calling, but it's OK for him to be extreme. I called him on it, but he gleefully admitted his hypocrisy: "Come on, I've never said that I won't resort to name calling, no 'higher ground claimer' I!" And I am supposed to give this guy and his nine or so few followers (one of which is was me, under the name Piltdown Superman) any huge amount of time? In the third paragraph here, which starts with, "Speaking of childish...", I gave links to how I gave him lessons in logic, so I will not prolong this discussion on that point. I just went with the double standard and the hyperbole; would you want to waste your time having a "discussion" with someone like this? (Hey, Two Horns One Tail! You two would get along splendidly!) If you want to read his profane rants, go ahead and see how illogical and hypocritical he can be. Addendum: Alexandra engages in obscenities and projection of his own inadequacies, consistently proving me right, here. Next, I'm going to put you on hold so this article does not get excessively long, capice? Tune in tomorrow for Part 2.